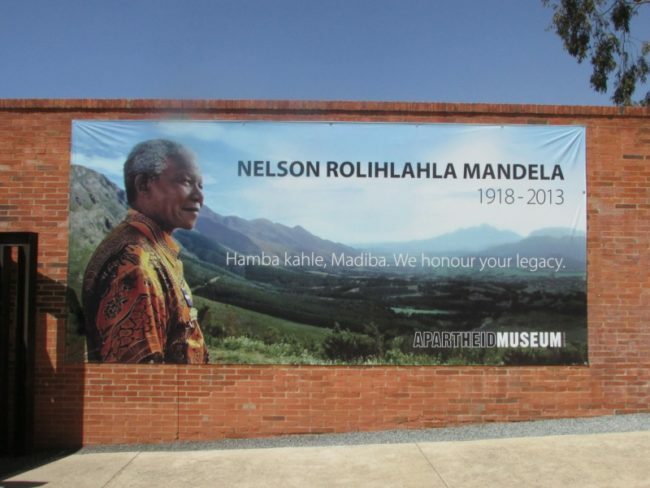 South Africa – A World in One Country – The Great Canadian Travel Co. Contact one of our Africa Experts to inquire about the next tour departure. Prices are shown as approximate in US$ and CA$ equivalents, converted from South African Rand; per person based on two people sharing a twin room, one person in a single. There are no triple rooms offered on this tour. Final price may vary depending on currency conversions at the time of booking. On arrival in Johannesburg at OR Tambo International Airport, you will be met by a local representative and transferred to your hotel. The remainder of the day is at leisure to explore the magnificent suburban shopping malls or take an optional Soweto Tour (own account). At 19h00 you will have the opportunity to meet in reception for a briefing on the tour and a chance to meet your fellow travellers. reflecting both international and local shows. You will depart this morning with an early start by 08h30 and leave Johannesburg’s distinctive skyline and head for Pretoria, South Africa’s capital city, for a short orientation tour, before continuing to Mpumalanga, dropping several hundred feet into the lush subtropical region of the Lowveld. You travel via the historic towns of Witbank, Dullstroom and Lydenburg, to your accommodation for the evening which is situated on the famous Long Tom Pass. The rest of this day is at leisure to enjoy the hotel’s facilities. Mpumalanga, which means “land of the rising sun” in the local SiSwati language, is one of South Africa’s newest and fastest growing provinces and covers 6.5 percent of South Africa’s surface area, constituting an area larger than Belgium and the Netherlands combined. Mpumalanga has it all from exhilarating wildlife, to secluded mountain retreats, ancient ruined cities, wild water sports, and some of South Africa’s most diverse and vibrant African cultures. The province’s year-round sunny weather, soaring peaks, steamy jungles and expansive waterways have also made it home to a bewildering array of adventure sport, from expeditions down the world’s oldest caves, to taking flight at the continent’s largest paragliding festival. Hotel: Misty Mountain Lodge 1 night. This morning you will gasp at the glory that is God’s Window, a boundless view of forested mountains and fertile plains, and visit the spectacular Bourke’s Luck Potholes. View Africa’s largest active Tufa Falls as well as the famous Three Rondavels. 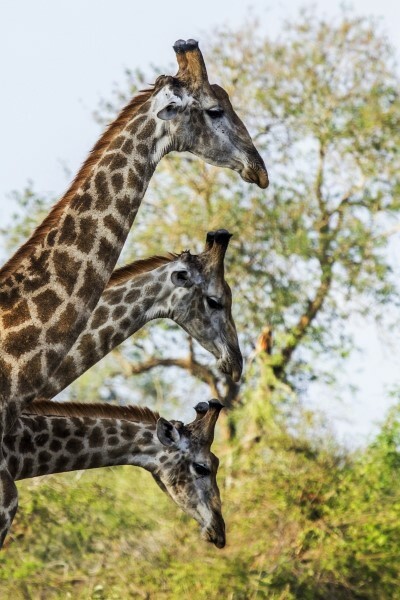 Kruger National Park is one of the oldest and largest reserves in Africa. The park boasts a tremendous variety of game and bird life in its numerous habitats. The park is best known for the Big Five – Lion, Elephant, Leopard, Buffalo and Rhino – and is truly the flagship of Africa and South Africa’s game reserves. The sight of the animals is always a thrill, especially at close range on a conducted wilderness trail. After an exciting day in the bush, sunset heralds the crackle of campfire, sundowners and shared anecdotes. The main camps have an excellent range of visitor facilities, including licensed restaurants, shops, swimming pools and conference venues. Game viewing is easier in winter, but many people prefer the lush vegetation of summer. Summer temperatures sometimes exceed 40 C, but winters are generally mild and frost free. An early to start to your safari day, setting off before breakfast in an open safari vehicle in search of the Big 5 which are lion, elephant, buffalo, rhino and leopard, and of course not to forget all manner of wondrous wildlife, birds and plant species. A picnic breakfast will be provided while you are on your journey. Your morning is spent in an open 4×4 vehicle with a professional driver/guide. Due to government regulations of the park, vehicles coming into the park for day visits, need to stay on the paved roads and not able to enter into the surrounding bushveld. Return to Hazyview in time for lunch where you will have the balance of your day at leisure. Today you will enjoy an enchanting drive to the tiny Kingdom of Swaziland, a former British Protection Territory, now ruled by King MsWati III. Here you will witness a Swazi cultural experience before visiting the Swaziland National Museum. You will then continue through the capital city, Mbabane, known for its vibrant markets packed with woven baskets, beadwork and carvings and you will spend the night in the beautiful Ezulwini Valley. Swaziland, the smallest country in the Southern Hemisphere, is among the most easy-going and laid back regions. Swazis are more likely to celebrate for fun than demonstrate for reform. A progressive and hands on attitude towards wildlife preservation has endowed it with a striking set of national parks. Swaziland has so much to offer, maybe on your next journey back, you can take advantage of trekking, horse riding, rafting on wild rivers or cycle through many of the parks and get surprisingly close to a large variety of wildlife (not included on this journey). Today continue to Zululand, passing traditional round huts and endless vistas along the way. Arrive at your hotel in Umfolozi in the mid afternoon. Evocative of grandeur as Zululand surely conjures up images of noble culture, magnificent wildlife and fabulous surroundings – nothing compares to first-hand experience of the Kingdom’s heartland by modern and efficient infrastructures. Once a magnet for the tall ships, dhows and caravans of early imperialists, seafaring opportunists and fortune hunters, this great wealth of earthly beauty and its resources are now firmly established as one of the world’s most protected places. An extensive network of expertly run Nature Reserves and Game Parks not only ensure the abundant future of the flora and fauna, but also the absolute delight for today’s outdoor loving traveller. This morning you will get to enjoy a cruise on Lake St Lucia before departing for the city of Durban. 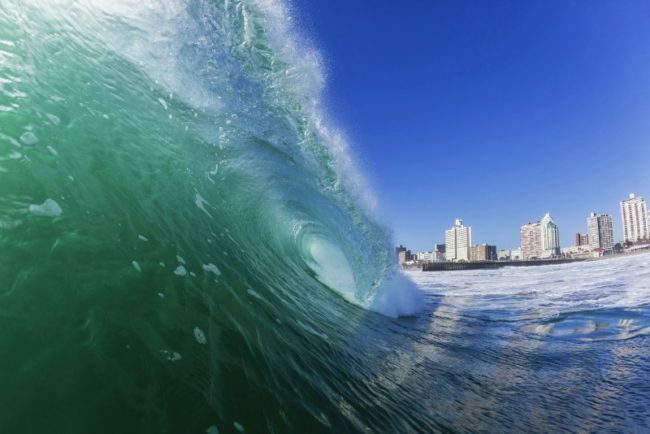 You will hug the lush KwaZulu-Natal coastline en-route to Durban and onwards to our destination, Umhlanga which is north of the city. All the while watching the sugar cane fields do their own version of the Mexican wave at the urging of the wind. You will arrive in time to check into your hotel just before lunch (own account). This afternoon is at your leisure to explore the beachfront and its many attractions. oriental bazaars, fragrant with spice and incense, offer silks, saris, unusual jewellery and ornaments. Pubs, discos and action bars are firm favourites. Theatres and concert halls present classical, avant-garde and ethnic programs. Restaurants represent every facet of the city’s cosmopolitan nature and cater for every palate and pocket. At the end of the day, what could be better than strolling on the beach to the rhythm of the waves? After breakfast you will be transferred to the airport for your morning flight to Port Elizabeth (cost of flight not included in the tour price). 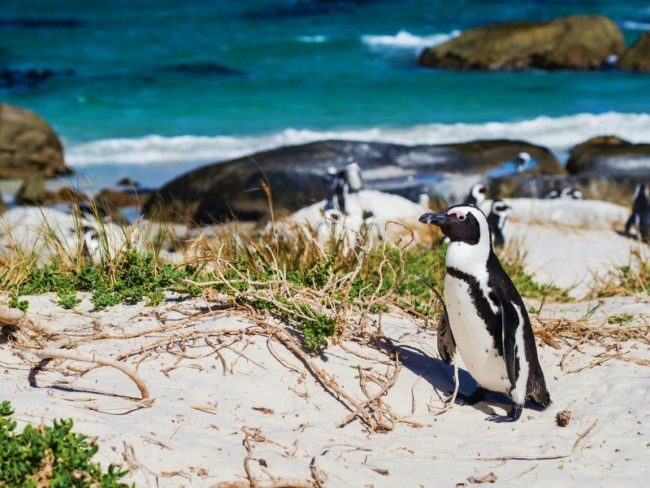 Upon arrival in Port Elizabeth you will be met by a new guide who will take you to explore the Tsitsikamma section of the Garden Route National Park. You will be treated to magnificent coastal views and a visit to the indigenous Tsitsikamma Forest. Later in the afternoon, travel to Knysna, perhaps South Africa’s most visually stunning resort, in the heart of the famous Garden Route. This morning you will be transferred down to the vast Knysna Lagoon to hop onto a cruise and visit the Featherbed Nature Reserve located on one of the Knysna heads. Taking a tractor style transportation up to the top of the nature reserve, here you will get the opportunity to enjoy an amazing view of the imposing sandstone ‘Heads’ which guard the sea entrance to Knysna’s huge tidal lagoon. During the months of June to November, you may even catch a glimpse of the whales moving past. After a short walk down with beautiful fauna and flora on the way, you will sit and have lunch under some beautiful milkwood trees. After lunch, you will head back to town with the cruise and the remainder of the day is at your leisure to explore this lovely and popular coastal town. Knysna, as a tourist destination, offers an eclectic mix of attractions and activities – something for everyone. Diverse in its mix of people and its surroundings, this diversity is reflected in a range of choices of eco tourism, cultural tourism and heritage tourism. Knysna is situated on South Africa’s only National Lake, which is also the country’s largest permanent estuary. The waters of the Indian Ocean channel through two large sandstone cliffs, The Heads, forming the gateway to the old harbour (Thesens Jetty) from where ships carried timber to the far corners of the globe, into the wide lagoon basin. 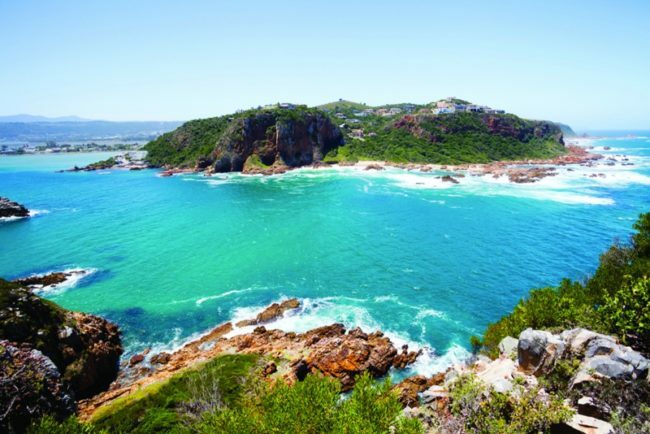 The enchanting town of Knysna is surrounded by the Outeniqua Mountain range, engulfed by indigenous forests and the protected by 21 square kilometres of marine reserve, locally better known as the “Lagoon”. This morning after breakfast you start your journey west and get to enjoy the wonderful views of the spectacular Outeniqua Pass which is en route to Oudtshoorn, known as the ‘feather capital of the world’, so named because it is the centre of South Africa’s ostrich industry. 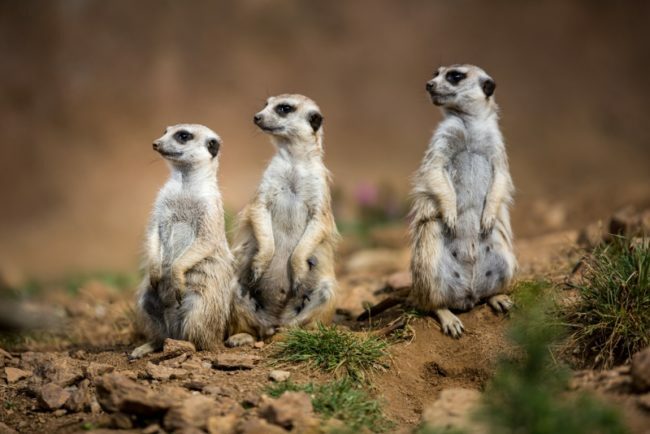 You will stop for lunch in this small bustling town at a local spot and thereafter, you will learn more about these hardy, enigmatic creatures during a tour of an ostrich farm. You will have the opportunity to buy some ostrich curios to take back home. After your visit with the ostriches you head underground for a fascinating tour of the Cango Caves, one of South Africa’s most incredible natural wonders, with its magnificent dripstone formations of stalactites and stalagmites. Oudtshoorn is located in an oasis-like setting in a fertile valley, called the “Little Karoo”, cupped by the Swartberg Mountains in the North and the Outeniqua and Langeberg Mountain Ranges in the South. Surrounded by natural beauty, Oudtshoorn is situated at the foot of the majestic Swartberg Mountain Range. Numerous rivers, streams and falls have their origins in the Swartberg, Outeniqua and Kamanassie Ranges around the town. Waterfalls abound, and visitors can safely visit two spectacular examples at Rus en Vrede and at Meiringspoort – a narrow, vertical cleft in the Swartberg Mountain, with the road through crossing the Meiring’s River no less than 32 times. Today will be a day of magnificent vistas. You will get to enjoy the ever-changing passing canvas as you travel towards the beautiful city of Cape Town. During the whale season you will travel via the seaside village of Hermanus in the hopes of catching a glimpse of southern right whales, which frolic offshore (July to November only). Out of season you will return to Cape Town along ‘Route 62’, South Africa’s version of America’s ‘Route 66’. major cities. This relaxed atmosphere is attributed to Table Mountain, which is known to be amongst the most spiritual places on earth. You only have to look up to see the quartzite granite cliffs towering over the city with a protective presence. People are drawn towards the mountain and every visitor feels the need to climb up or take the revolving Cable Car to the top. 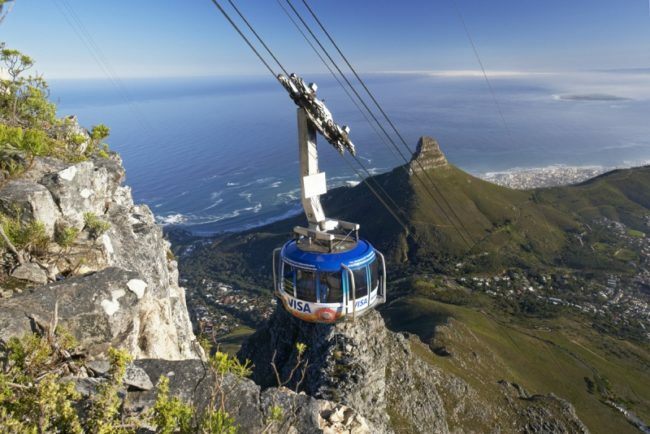 At 1086 metres above sea level, you will see the most dramatic views of the whole of the Cape Peninsula. The city is safer than most on any continent with a bustling street life of shops, cafes, and market stalls, as well as street artists. 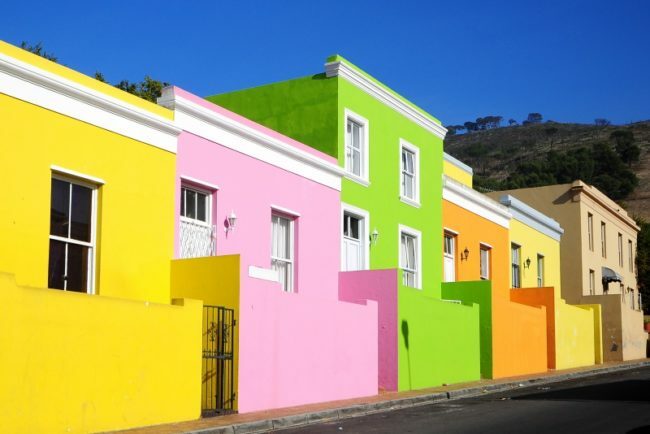 This vibrancy is set amongst historic buildings of old Cape Dutch and English architecture with the Castle of Good Hope dating back to 1666, when the first Dutch settlers set up a re-victualling station for trading ships. evening enjoy dinner at Richard’s Supper Club. 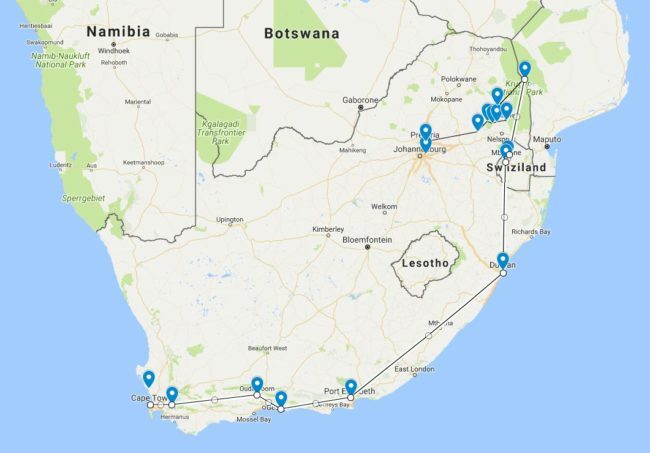 can be divided into the Atlantic coast on the west (including the City of Cape Town) and the False Bay coast on the east. While on the West Coast, the water is rather chilly at an icy 8 -13 C, and it does have an enviable ocean sunset. To take advantage of this nightly spectacle, it is traditional to take a bottle of Cape sparkling wine to the top of Signal Hill or down to the beach. False Bay has the advantage of having warmer water (13 -20 C), safer swimming beaches and a rail link to Cape Town. With nothing but water all around the peninsula, the weather can be a little unpredictable and the wind can whip itself up into a fury. Luckily when it is howling on one side, it is normally quiet on the other so you can always find a sheltered spot. 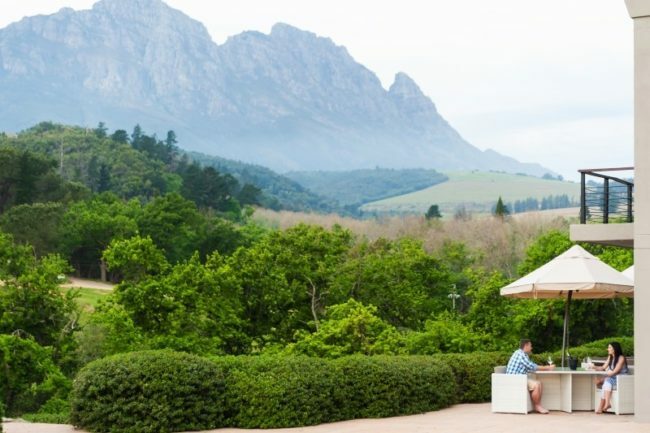 Today, journey into the beautiful and tranquil Cape Winelands, visiting both Paarl and Stellenbosch before stopping for a wine tasting at two well known estates. 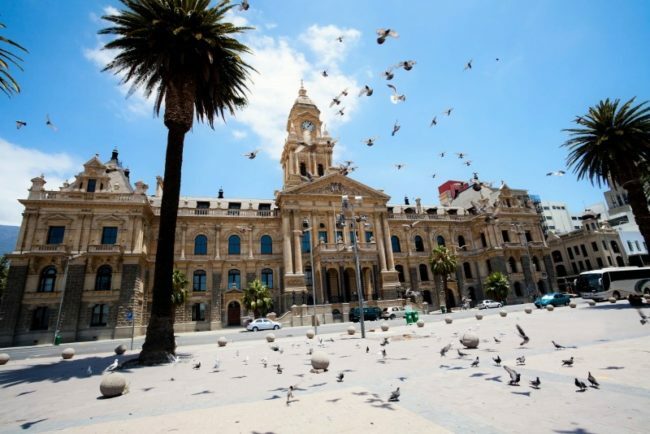 Visits to the Huguenot Memorial Museum and the Afrikaans Language Monument provide a historical perspective. 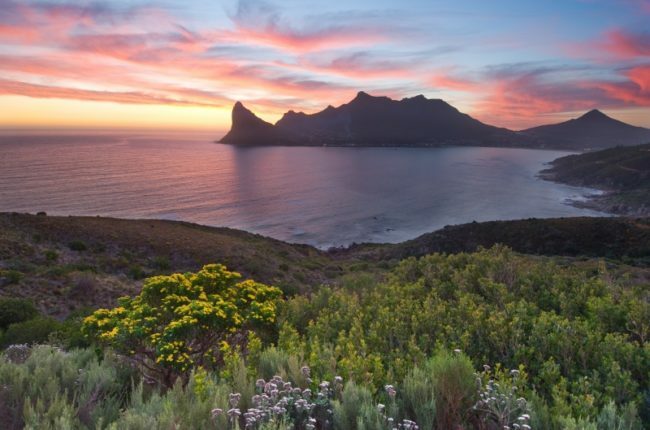 The Cape Winelands is a scenically enchanting region of dramatic mountains and fertile valleys, planted with vines stretching across rolling fields. Here, farmers enjoy perfect conditions and produce some of the best wines in the world. The soil is so rich; they use about a tenth of the amount of fertilizer that European farmers do. The region is a wonderful combination of small historic towns, beautiful scenery and wine estates producing delicious wines and brandies. There are literally hundreds of wine estates, all offering the chance to sample their unique blends in a picture perfect setting. Today is the end of your ‘World in One Country’ Tour; the morning is at your leisure until check out. After checking out, you will be transferred to the airport for your onward flight.